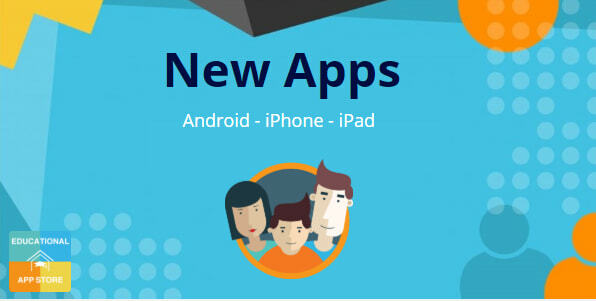 Explore our new release apps list to help you discover your next great app today. In our list of hand-picked recommendations we’ve got a huge variety of apps to suit all ages. Still finding it too hard to choose? Explore our latest app reviews to help make your mind up. Curious World: Play Learn Grow is packed full of different types of activities to entertain and educate children. Noted is a fully-integrated audio recording and note-taking app. Create awesome video clips with the music of your choice in an easy, fast and intuitive way. Highbrow is a subscription-based service with curated videos for kids. PlayKids Stories is an amazing library of books and stories for kids 8 and under. Word Beach is a word puzzle game that will work the brains of adults and children alike as well as entertain them. The application News-O-Matic EDU can only be best described as an interactive Daily Newspaper for children. Aniscience is an educational experience where kids explore different illustrated environments with an animated mouse. Grammarly Keyboard is a free productivity app that assists users with proofreading and editing any written content for any spelling, punctuation, or grammar errors within texts, documents, messages, and social media posts. The Discovery VR app has always been about driving curiosity – exploring new places, characters and ideas with VR videos, embraces a new opportunity to tell these amazing stories immersing you in experiences like never before.